Apartment classified furnished accommodation 2 stars. Pleasantly situated at 1000 m altitude, 5 km of Ax-les-Thermes and in the charming village of Ignaux, on the southern slope of the mountain, this apartment of Isatis is the ideal base, was winter, to fully live the holidays, indulge in walks and in every sport imaginable. 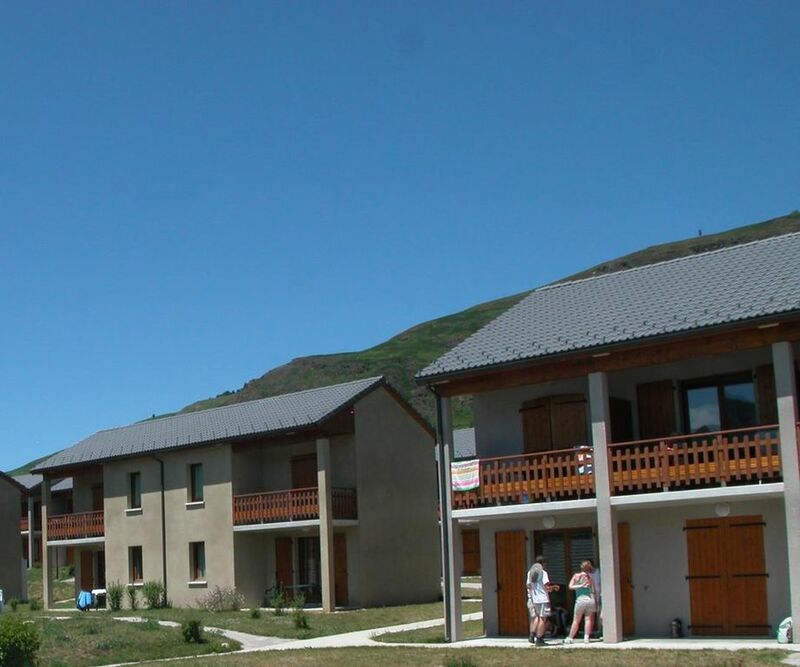 You have a panoramic view of the area of ​​Ax-les-Thermes. This two-room apartment of 31 m2 has a beautifully decorated terrace of 6 m2 and a garden. Living room with sofa bed 2 beds, a kitchenette with 2 hotplates, refrigerator, oven and microwave. A room with double bed and spatieux storage. We were only looking for a one-night place to stay while travelling further to the South. Everything was correct and as expected. No luxury, no fancy stuff, but a cool place to spend a night. Access to the swimming pool was much appreciated after a 12-hours drive at >30°C. Easy to check-in, easy to check-out 24/24, which was essential when leaving at 4 in the morning. I'd do it again for the same price! Appartement très bien placé sur les hauteurs d’Ax Les Thermes, avec une belle vue sur les Pyrénées ; très fonctionnel et très bien équipé... nous reviendrons ! Appartement tres agréable,situé dans un beau cadre avec une belle vue. Le boulanger qui passe le matin dans la résidence est appréciable.